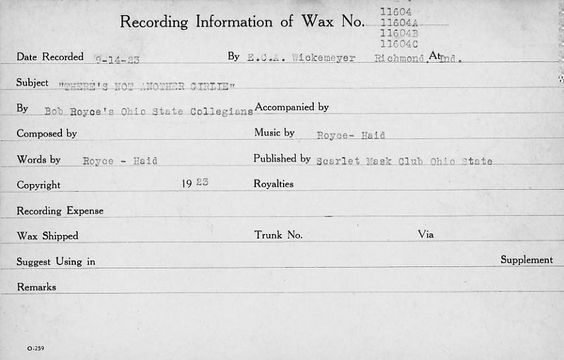 September 14th in Gennett History, 1923: Bob Royce’s Ohio State Collegians recorded “There’s Not Another Girlie” in Richmond. Unfortunately, it and another recording the made that day have not turned up anywhere. Image | This entry was posted in Gennett and tagged Gennett, Gennett Discography, Gennett Records, September. Bookmark the permalink.